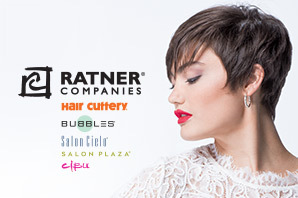 Ratner Companies is the largest family owned and operated chain of hair salons in the country, operating 1,000 salons under the Hair Cuttery, Bubbles and Salon Cielo brand names. The company was founded by salon professionals Dennis and Ann Ratner, who understand the importance of education and the passion it takes to be successful. Ratner Companies is excited to provide scholarship opportunities to students who are attending an accredited cosmetology program. These scholarships will provide students with financial support so they can enter the beauty industry with a sense of purpose and ready to achieve great success as they share their craft with their guests. Through this program, Ratner Companies and Beauty Changes Lives will help support future salon professionals secure employment as they follow their path to prosperity in the beauty industry. The Ratner Companies Passion and Purpose Cosmetology Scholarships will be awarded to beauty school students who can demonstrate their passion for cosmetology and why it is their purpose. Scholarship: Four (4) scholarships will be awarded and can be applied toward program tuition, up to $3,125 each. Qualifications: Open to new or current students who have not completed more than fifty percent (50%) of their coursework. Student must be attending or enrolled at an accredited beauty school. Applications accepted August 1, 2018 – September 15, 2018. European Wax Center “Unapologetic You” Scholarship provides an opportunity for students who are currently enrolled in an accredited esthetics or cosmetology licensure program. Scholarship: Twelve (12) $4,250 scholarships will be awarded to be used towards tuition costs. Qualifications: Currently a student in an accredited esthetician or beauty related licensed program in the continental United States or Hawaii; must have completed at least 50% of required courses in such designated program. Posted on August 9, 2018 by Julie Hill and filed under news and tagged scholarships.